When you are out hunting turkey in the Spring or in the Fall depending on which country or province you live in, there are some colors that should be avoided..which colors are they? RED, WHITE, BLUE and BLACK! I don’t know about you but when ever I come back from a hunt, all I want to do is share my experiences in great detail to my family and friends. Even if sometimes they may be pretending to be interested but are not really listening, as long as they say “Really” or “Neat” once is a while that works for me. After all not everyone understands hunting. When I post a hunting story of mine on my blog, I want the readers to be there and share the experience with me, breathing in the fresh air, being surrounded by the elements. Now imagine yourself learning about turkey hunting at its best and yet at the same time feeling that you are also right there with the author. This is the way Ray Eye’s book on practical turkey hunting is written. Being a turkey hunter and having successfully called in several Tom’s in various weather conditions, this book is awesome and the strategies are extremely practical. I only have five chapters left and I find it very difficult to put the book down. Throughout the chapters, Ray demonstrates his true character and his perseverance to learn and master the art of turkey calling and hunting starting from a very young age. 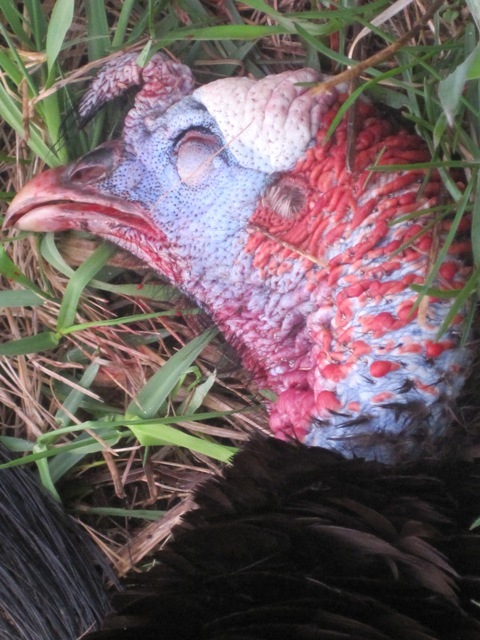 He is without a doubt a seasoned veteran and a well-respected turkey hunter. The book: Practical Turkey Hunting Strategies: How to Hunt Effectively Under Any Conditions is a must read. Ray has been very generous in sharing his knowledge. I can not wait for the spring turkey hunt to start now and add his flavor to my hunt.